THE PBA Commissioner's Office on Monday approved the trade that set the stage for Joe Devance and coach Tim Cone's reunion at Barangay Ginebra, just hours after Spin.ph broke the story. Devance became the latest member of Ginebra under the final terms of the deal that also involved longtime King Mac Baracael and Dorian Pena, Barako's Jake and Ronald Pascual and GlobalPort's Prince Caperal. 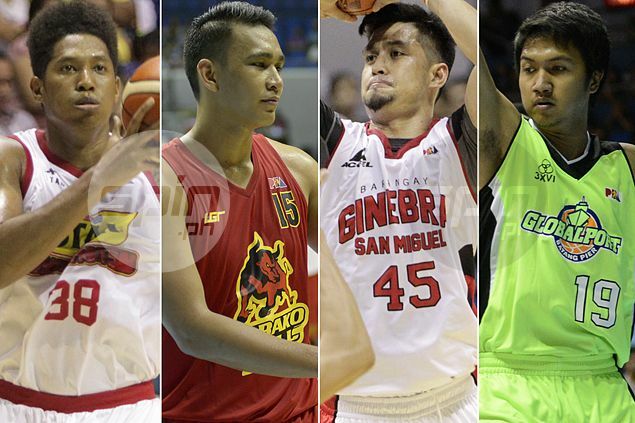 Star sent the versatile swingman to Barako in exchange for Jake and Ronald Pascual. The Energy then send Devance to Ginebra in exchange for Mac Baracael and Prince Caperal, who the Kings got from GlobalPort in a separate trade involving Dorian Pena. The final result of the deal had Devance joining Cone in their third team together (Alaska and Star were the previous two), the two Pascuals now reinforcing the Hotshots and Barako getting two big men in Baracael and Caperal. Ronald Pascual, incidentally, has found himself traded for the second time in five days. He was initially sent by San Miguel Beer to Barako on September 24 in the deal that sent Ryan Arana of Rain or Shine to the Beermen camp.